Incidents of racism, homophobia and other forms of discrimination are up by 38% in England's top four leagues compared to this time last term, anti-racism body Kick It Out has said. There have been 111 incidents since August - 64 in the Premier League and 47 in the Championship, League One and League Two, compared to 40 and 29 respectively at the midway stage of last season. Lord Ouseley, chair of Kick It Out, said the figures "should act as a wake-up call to everyone in the sport". Kick it Out, who have published the figures, did acknowledge that football authorities have made it easier to report such incidents which can be done through the Kick It Out website or reporting app, email, phone or social media. Overall there has been a 59% increase in incidents of discrimination this season across the top four leagues as well as in the top four tiers of non-league football, the grassroots game and social media. There have been 282 incidents reported to Kick It Out so far season compared to 177 last season. Racism was again the highest reported form of discrimination, followed by homophobia, biphobia and transphobia (HBT) and anti-Semitism. Although the number of incidents in England's top four leagues has increased, it has fallen as a percentage of reports for the professional game which goes all the way down to step four of the National League system. "Ultimately, tackling discrimination must be a collective effort," Ouseley said. "The leaders across all sections of society and football, as well as the broader public and football supporters themselves, need to take action, report discrimination and help us eradicate hatred." The English Football League - which oversees the the Championship, League One and League Two - suggested that the increase in reports of incidents was partly due to greater tools available to the public and pointed towards a rise in abuse on social media. 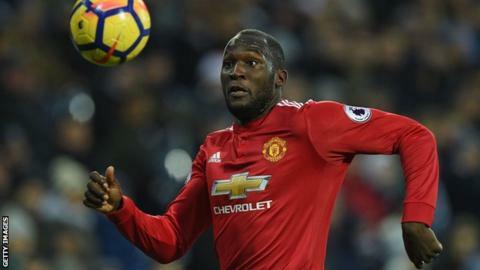 "The success and increased awareness of the Kick it Out reporting services, which includes the use of the reporting app, is having a positive impact as more and more people are becoming confident in detailing discriminatory behaviour," it told BBC Sport. "This is especially apparent on social media which accounts for the highest increase in reported incidents in this latest report." Kick It Out, a campaign organisation, takes up reports on behalf of complainants by liaising with the police and football authorities and also offers support and guidance to those who have witnessed or suffered discrimination.